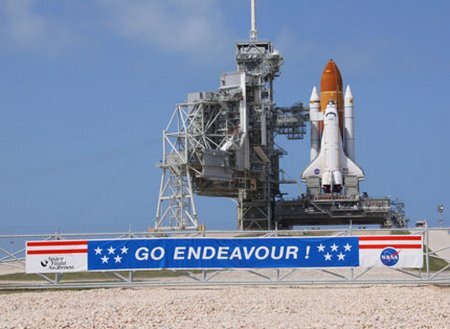 Shuttle Launch Director Mike Leinbach has scrubbed today’s STS-134 launch attempt because of an issue associated with Auxiliary Power Unit 1 heaters. There will be at least a 72-hour scrub turnaround while engineers assess the issue. NASA Television will air a news conference 4 p.m. EDT.